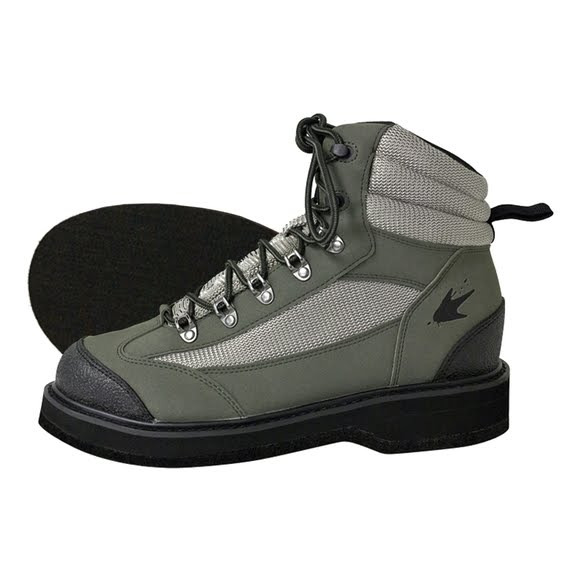 With a rubberized toe and heel cap, the Hellbender felt wading shoe from Frogg Toggs is made with a mesh no-shrink PVC shell upper and a nylon heel pull. The thick and lightweight PU midsole offers maximum comfort, while the padded ankle collar provides extra-stable support. Tried these babies on when they arrived and fit well with good comfort. Am itching to get them on this Spring and hook some Cutts! !